21 weeks ! Can you believe it? 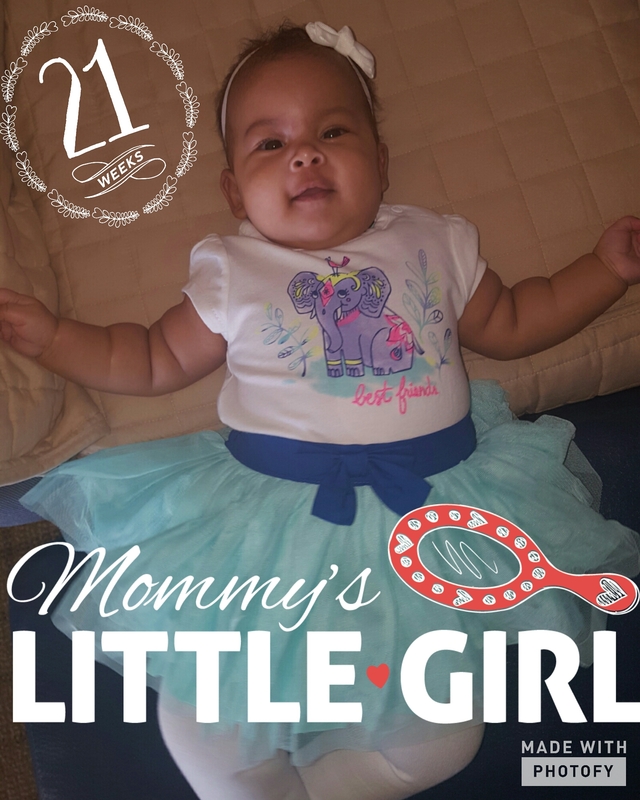 In six more days, my baby will be five months old ! Jeeeez ! Time flies ! My little chunk munk weighs almost 16 pounds, is 24 inches long and is the most amazing creature God has ever created. She has a temper and has mastered tantruming already. She says HI and coos quite a bit when you talk to her or read to her. Today, I introduced solids via spoon. I gave her pureed bananas and she knew exactly what to do. She ate the bananas and she loved them. The oatmeal cereal we were putting in her last bottle at night seemed to constipate her and the probiotics and Karo syrup were not helping enough to regulate her poop texture so I stopped the cereal. My baby is thriving and still sleeps a lot. She loves to take catnaps too. On Monday, we are starting what I like to call, our baby daycare program. 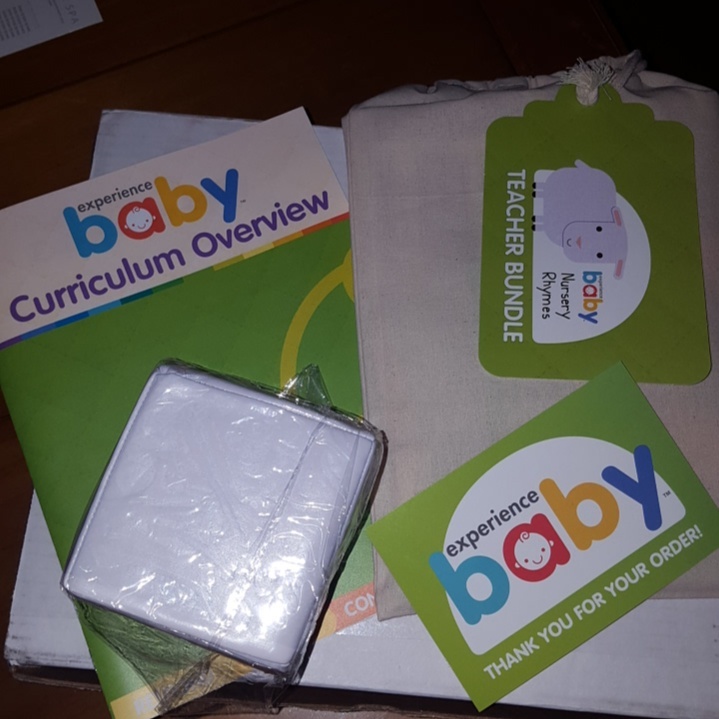 I ordered a monthly infant curriculum subscription program by Mother Goose Time that is specifically for infants. 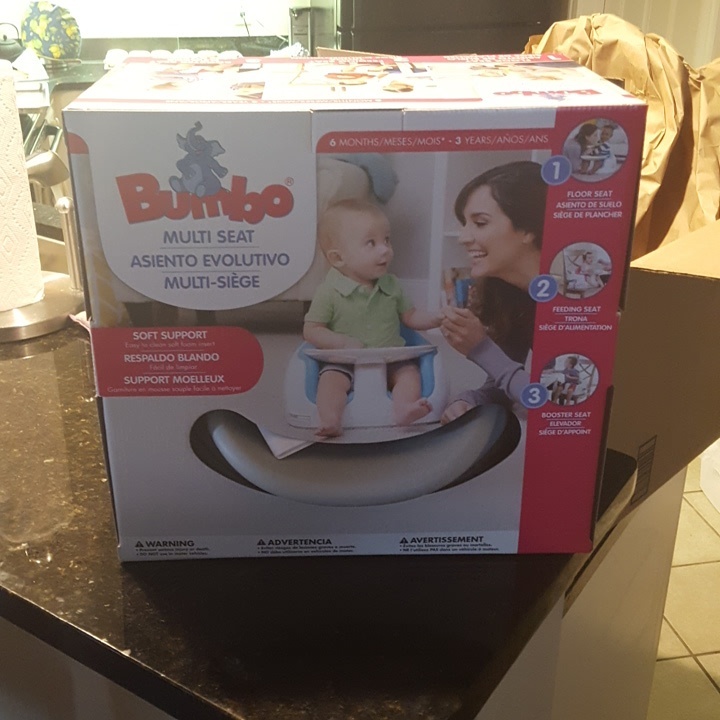 I also had my mom get her a gray Bumbo and sensory toys, kinectic sand and play-doh. I am going to pick up two large mirrors tomorrow for floor play and incorporation into her tummy time. She has a few mirrored toys but I want to get some large ones to put in the play/ learn area. The only item I need to order from Ebay is the Baby Can Read program to start with her. One of my friends has already started it with her 3 month old and her son was reading by 2 yrs old. I want to work with my daughter to start education early thru play so that she can start music lessons at the age of 3. My baby is now wearing 3-6 month and 6 month clothing. She still hates getting dressed and getting her hair done. While her hair is growing in the top, the sides and back are thinning out ! I have been studying credit repair services and am launching a credit repair company. I have already started receiving clients ! In this economy, this service will be invaluable to people. Most people have things on their credit report and consumer file that are incorrect. Good credit is a must in order to conduct good business these days! I am looking forward to helping people change their lives for the better. I am going to start going for long walks again and am also going to purchase Cize to workout to. I have gained 3 pounds and I refuse to gain anymore. I love being this small and I know that breast feeding parttime is not going to help me keep weight down. It gave me an amazing start, but now I have to put in some work ! Please keep my mom in your prayers. She has to have a colonoscopy on Monday to determine the cause of her iron deficiency. She also found a knot under her breast area that wasn’t there before. She sleeps an awful lot and doesn’t feel well most days. I am very worried about what this means. I am not ready to say goodbye to my mother. I do not think I ever will be, but I am praying that this is anything but cancer so that we can travel and do things she has dreamed about and so that she can be here for my daughter to watch her grow. This entry was posted in Breast Feeding / Lactation, Donor Egg IVF, Health, Infertility, IVF, New Mom, Post Partum, Single Mother By Choice. Bookmark the permalink. Thank you ! The colonoscopy was clear. Now two more hurdles ! We go to DC Monday for her surgeon to look at the knot and a spot on her gum.